Our collection of archives covers various themes from cinema or documentaries to political propaganda. You are welcomed to view for example one of the first movies directed by Gabriel Veyre for the Lumière brothers in the late nineteenth century. 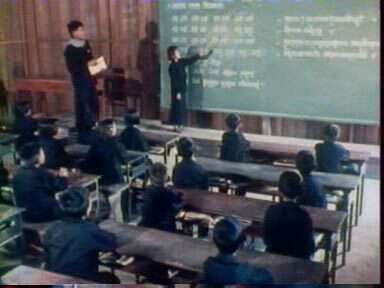 You might enjoy watching Cambodia’s newsreel of the 1960s; radio recordings; Khmer Rouge propaganda films; the considerable Cambodian funds of the French National Audiovisual Institute (INA); contemporary documentaries and educational movies; fictions by Norodom Sihanouk, Yvon Hem, Ly Bun Yim; the exceptional photographic collections of Elizabeth Becker, Kathleen O 'Keefe, John Vink, Stéphane Janin, Paul Cummings; Rithy Pahn’s features; as well as traditional songs and music. Our archives can be viewed at the center during the opening hours. You can either pick up a theme or let yourself be guided by our archivists. They will show you their favorites or the Bophana Center’s most recent acquisitions! Do not hesitate to contact our archivists to arrange a visit or a screening. They will be happy to welcome your groups or students and to conduct a workshop or any special events related to the Archives. Our archives are not available online yet but the full description of our collections (including the type and content of the documents) will be posted shortly. 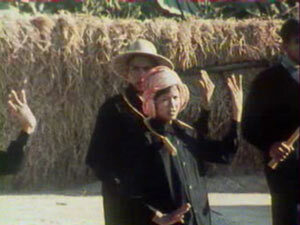 Cambodians represent the majority of our audience and are fond of 1960s or 1990s fictions. 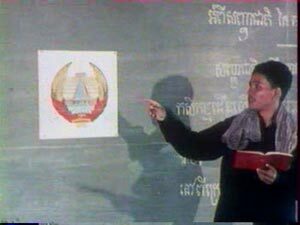 Cambodian youth is also very interested in the Khmer Rouge period, which they usually discover by watching documentaries, in particular those of Rithy Pahn or Adrian Maben. 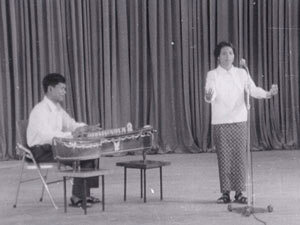 Our archive department at the Bophana Center Archive aims at collecting all the sound recordings, photographs or films linked to Cambodia. The presented documents have been collected either in the country or abroad. Our archivists then write a full description of each document to make our database easily searchable. We are also able to digitize documents and if some films need to be restored, we seek the necessary funds and support for their preservation. Lastly, we translate them into three languages (Khmer, English, and French) and may also dub them in Khmer. Translation is the final step before public release. More and more individuals bring us photos, films, books, audio tapes or vinyl records to expand our collections. We do not aim at keeping original documents. We digitize them and give them back to their owners. Of course, whenever we are specifically asked to store a document, we keep it at the Bophana Center and preserve it in the best conditions. Angkor – Cambodian Cinema – Environment – Cambodian History – Khmer Rouge – Cambodian Classical Dance – Religion & Tradition – Cambodian Women – Phnom Penh – Health – Daily Life – General de Gaulle’s visit in 1966, etc. Our database currently contains 129 collections, each of them including a wide range of documents. In October 2013, the Bophana Center provided public access to 1,936 videos (that is, 670 hours 40 minutes and 15 seconds), 847 audio archives (that is, 209 hours 41 minutes and 28 seconds) and 157 series of photographs (each of them containing between 20 and 100 photos). 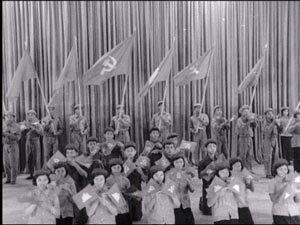 We offer to our public unique archives of the Khmer Rouge propaganda. 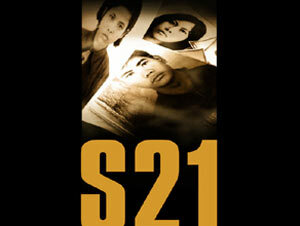 These movies were recovered by the Cambodian Film Commission from 1979 onwards. In 2006 and 2007, they were restored, digitized and copied with the help of the French National Audiovisual Institute (INA) and the Thomson Foundation (now Technicolor Foundation). This initiative saved all these films from decomposition. The original documents were subsequently given back to Cambodia. The Bophana Center does not own the available collections, unless for specific donated items. If you wish to buy copyrighted photographs, films and recordings, we will contact, on your behalf, the rights holders and offer you preferential rates. In some cases, and only upon presentation of a written agreement between the applicant and the rights holders, the Bophana Center provides a copy of the archive. Our educational database, called "Hanuman", contains all our collections and is available in three languages: Khmer, English and French. You can search for documents by keyword, collection, type or period. The advanced option will also help you to refine your search, for example, by title, topic, name, place, production or release date, etc. The Hanuman platform has constantly been improving since it was launched in 2006, and its third version is now in use. Some countries such as Burkina Faso have shown their interest in Hanuman, and we shared our technical expertise with them. Hanuman was also spotted by professionals in Southeast Asia.